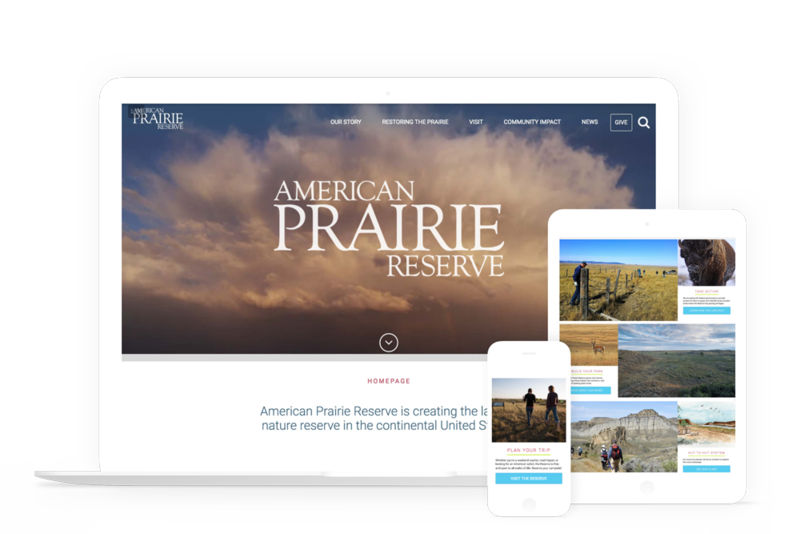 The American Prairie Reserve works to create and manage a prairie-based wildlife reserve that protects a unique natural habitat, provides lasting economic benefits and improves public access to and enjoyment of the prairie landscape. We rearchitected and redesigned the site, launched in March of 2016, and we're providing ongoing support and development. We also cut together the introductory video on their home page. Explore the design, and be sure to visit the live site to see the video in action.